★ Size: 38.60-160mm, fun for all ages. ★ Material: Wood, through a long time dry ,Gently and no taste. ★ Production Place: From Russian generate process. ★ Widely Used: Hand Painted Craft, it can be used for holding candies,jewelry,sandries etc,not only beautiful but also practical. 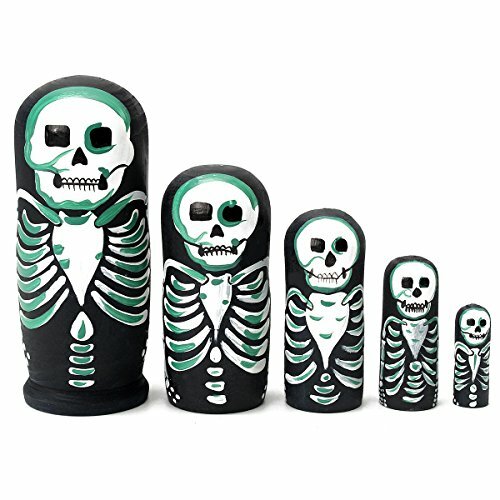 ★ Package includes: 1 Set (5 peices) Russian Nesting Dolls.